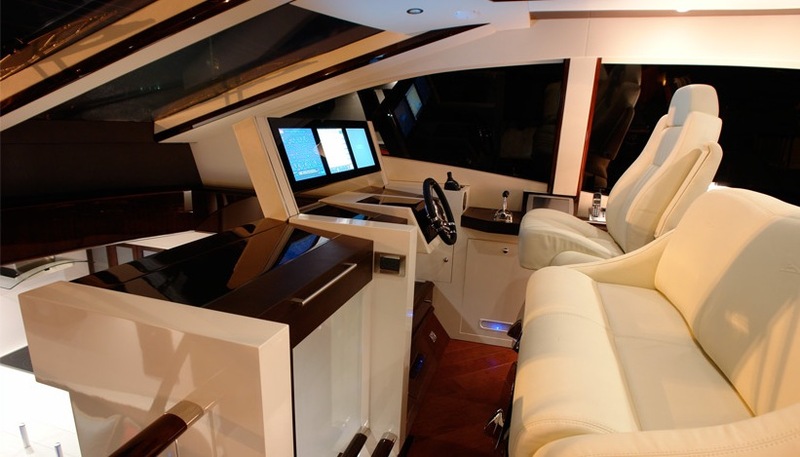 For over 50 years the Lazzara Family have been building boats, and in those fifty years they have developed into an innovative and cutting edge boat building company. 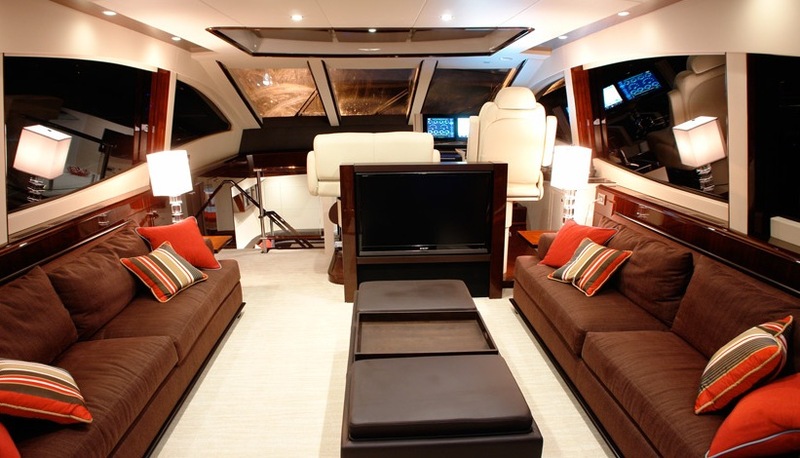 There is no better way to demonstrate their innovation and cutting edge design than in the Lazzara LSX 78 Flybridge. It’s hard to imagine one yacht being everything to everybody, but the revolutionary Lazzara LSX Quad 78 exceeds expectations on every level. 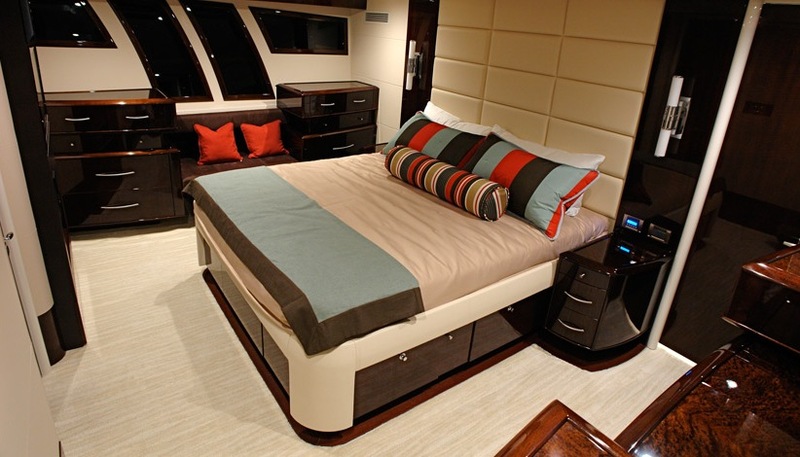 Lazzara has evolved its signature lines to reflect a combination of European style coupled with American boldness. Onlookers will stand in awe, whether she’s dockside or cutting across the ocean at full throttle. 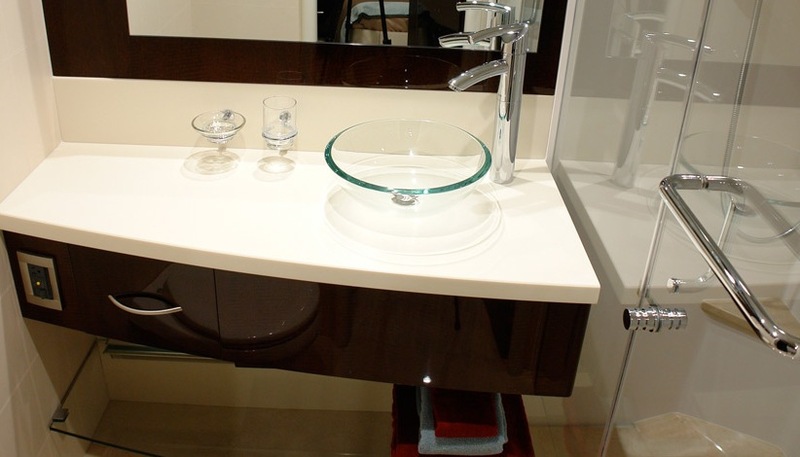 The layout is designed with comfort and convenience in mind. Technological considerations maximize entertainment and safety options. From a performance standpoint the engines and drive systems make the LSX the most user-friendly large yacht on the market. The Volvo Penta IPS system is ideal because its four-engine configuration delivers the most power at the highest scale of economy. Furthermore, the joystick operation makes for effortless handling of this extraordinary vessel, even for novice captains. The LSX 78 Fly was born first as a 75 version project, Lazzara added the addition of a sport bridge that was featured in the early part of 2009. 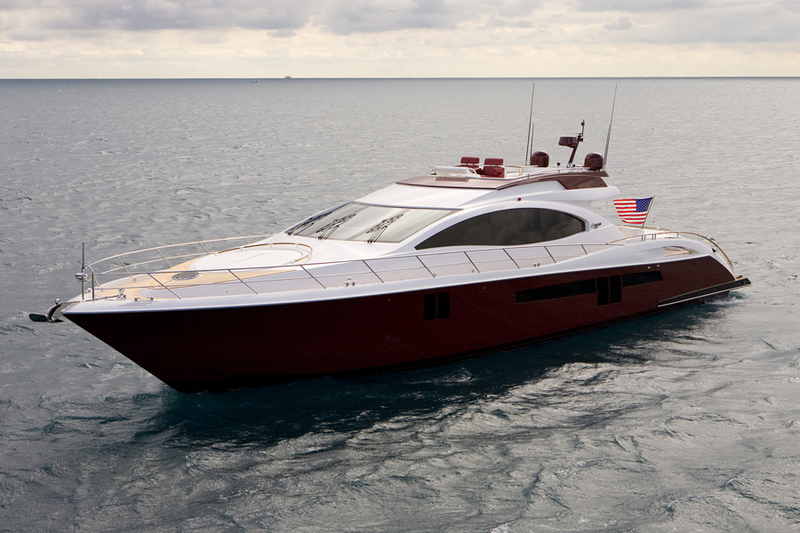 During the development phase Lazzara extended the bathing platform, and with this in mind the US firm decided for a new model badge. 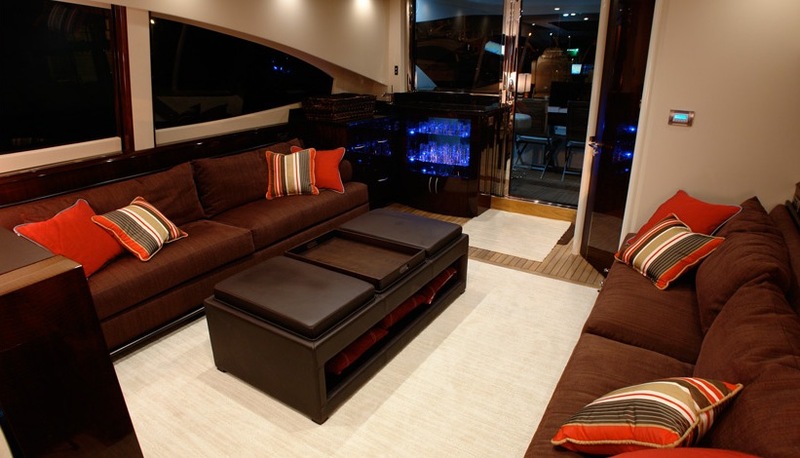 In addition to the extended platform Lazzara also extended the flybridge height by a further foot over the 75 LSX original design, increasing head room and creating a more spacious salon area. The Lazzara 78 boasts the big sports yacht feel due to the use of innovative design and use of quality materials and colours, as per many sports yachts of this size the owner has the option for customising elements to creat that individual experience. 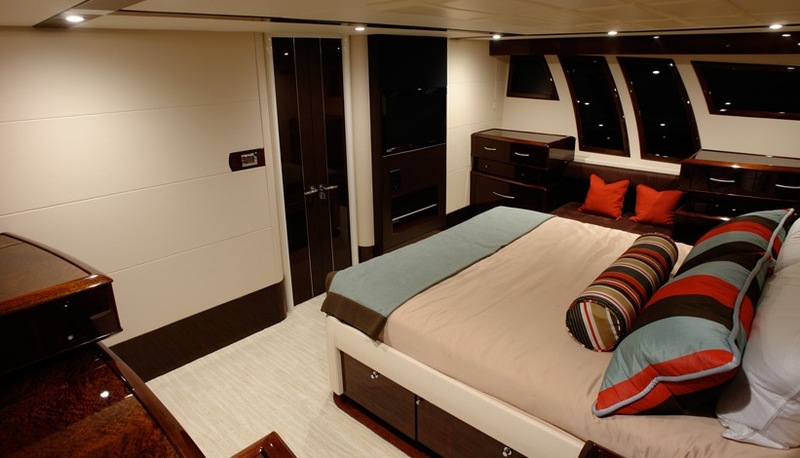 The interior shown is the much sought four cabin, eight berth layout, featuring a full beam mid ship owners stateroom, and a VIP guest suite to the forid, both with on suites that would impress any guest onboard. The lazzara 78 LSX performance comes from the quadruple IPS600 435hp set up giving moderate fast 32 knots top speed, and a comfortable and economical cruising speed of 26 knots giving the 78 a 400 nautical miles range. 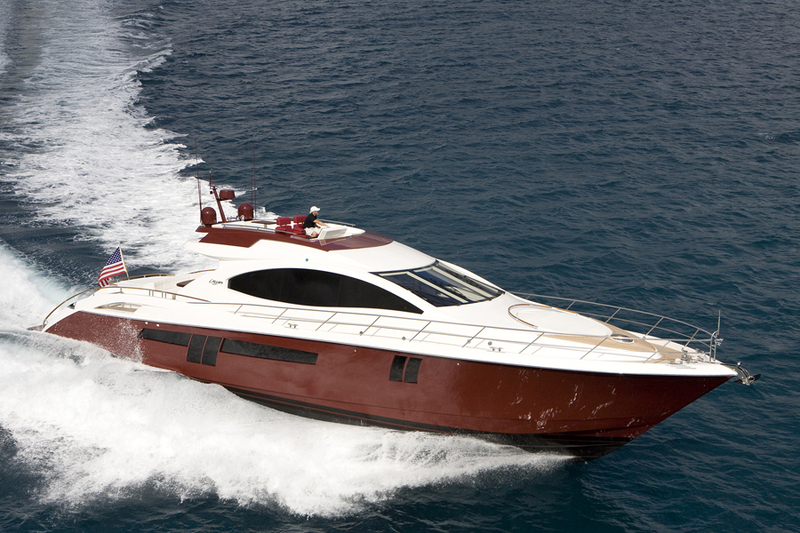 Lazzara continue to be an alternative to the widely regarded european designed sports cruisers and sports yachts. 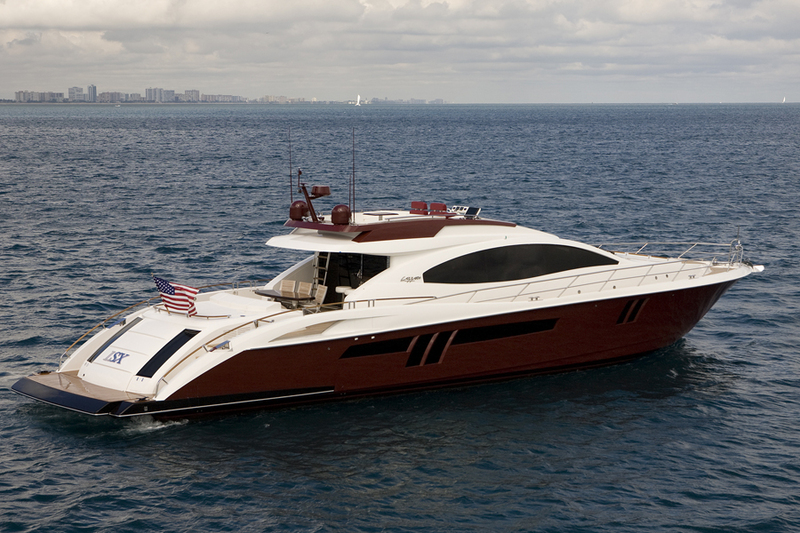 Lazzara’s approach to innovation, quality and build is replicated throughout their range giving a sense of pride when you step aboard any Lazzara model. 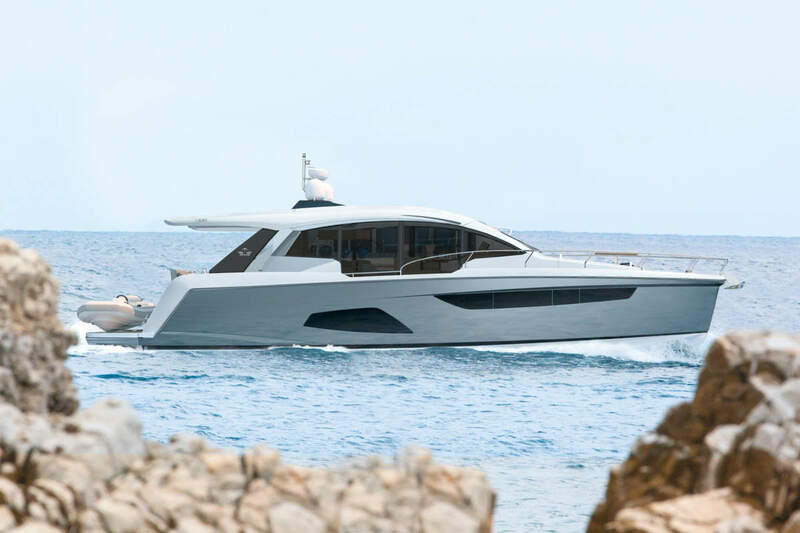 The Lazzara 78 LSX flybride is testament to the continuing efforts of this long-established US brand and is sure to give potential customers another option when considering a sports yacht of this size in a market usually dominanted by the european manufacturers. Superb sports yacht from Lazzara, caught up with the lazzara 68 and 80 at fort lauderdale this year however these new ranges are looking the part to take lazzara forward thats for sure.